Skoda India, one of the country’s known automaker would be launching the new Skoda Octavia Black edition in the month of January 2017. Skoda has got many launches in the pipeline. The automaker launched the new Skoda Rapid facelift (2017 edition) recently and now it is all set to bring the Skoda Octavia in Black Edition in India. The Black edition Octavia exists in Global market since in 2014. 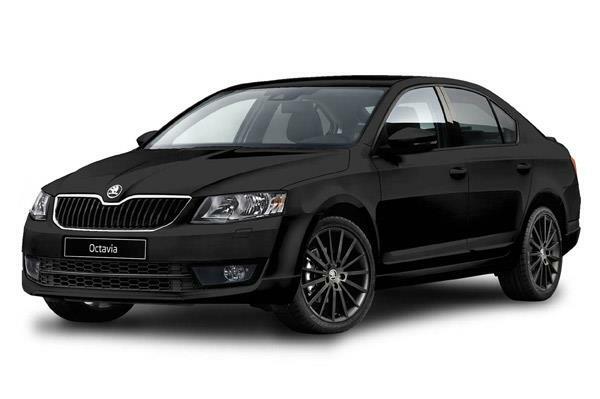 In fact, the Black Edition series is inclusive of sportier versions of Skoda model range. Skoda Octavia Black Edition – What’s new? Synonymous to the name Skoda Octavia Black Edition, the car gets a blacked-out components like alloy wheels, wing mirror housings, bootlid spoiler etc. The roof and grille surround to provide more sportier appearance to the car. Talking about the interiors, the cabin gets a sporty theme with all-black upholstery as well as sports seats. There is also going to be few changes in the equipments that has not revealed by Skoda as of now. The all new Black Edition Skoda Octavia is powered by petrol and diesel engines. The Octavia Black Edition model is going to be fully based on currenly existing Octavia and not the recently revealed facelifted Octavia( which is expected to be launched in India later). Other than this, Skoda India also has the plans to launch the vRS version in the year 2017.